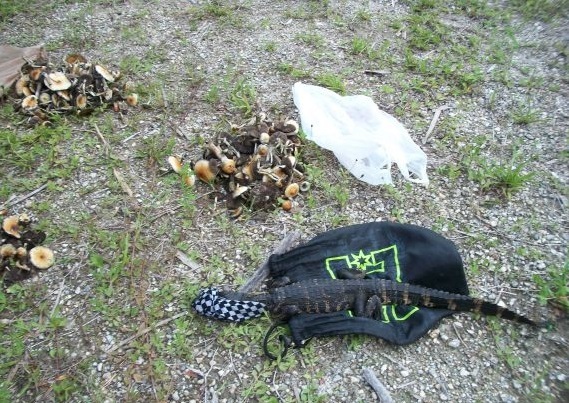 OVIEDO, Florida - A Florida man was arrested along with three others last Sunday by a Florida Fish and Wildlife Conservation officer for allegedly picking hallucinogenic mushrooms in the Little Big Econ State Wildlife Management Area in Seminole County, Florida while also carrying a 2-foot-long alligator in his backpack. 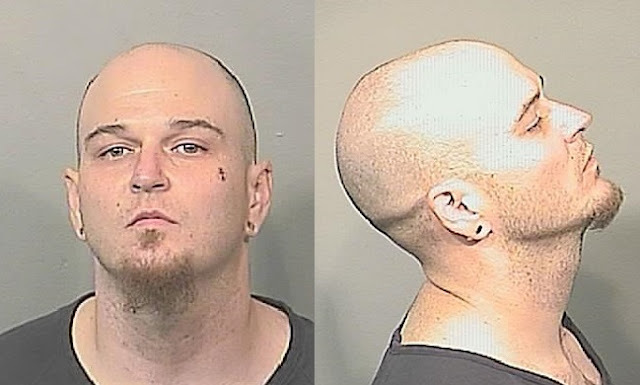 30-year-old Rick Myers, of Titusville, Florida, was charged with possessing an American Alligator without a permit, possessing the psychedelic psilocybin mushrooms that are often referred to as "shrooms" or "magic mushrooms," felony violation of probation, and removing natural resources from a Wildlife Management Area. Another Brevard County man, 22-year-old Gregory Sansota of Titusville, was also arrested along with Tyler Salzman, age 20 of Deltona, Florida. Both of the young men were charged with possessing the psychedelic psilocybin mushrooms and removing natural resources from a Wildlife Management Area. An unidentified juvenile was among those arrested. A fourth man fled the scene, but was later arrested by a Seminole County Sheriff's deputy. FWC spokesperson Joy Hill said in an email that Myers allegedly told authorities that he found the alligator in the field where they picked the mushrooms and picked it up and put it in his pack to take photos of it later. The adults were booked into the Seminole County Jail and the juvenile was taken to the Seminole County Juvenile Detention Center. The mushrooms were placed into evidence at the Seminole County Sheriff’s Office and the alligator was released back to the wild.